Interest in cannabis has been on the rise over the past few months. A lot of companies are aligning themselves with cannabis, considering that this is a market that has a lot of potential. The issue that most people have been discussing is whether it’s right to invest in cannabis with the potential of good future returns or not. In international markets, cannabis stocks have gathered steam. Most of this was because of the legislative decision in Canada to legalize cannabis. The decision by Canada was a game changer and following the assent to the Farm Bill in December in the US, things are looking even better for cannabis. If there was ever a time to consider investing in cannabis, this is it. It’s not just Canada and the US that are changing the approach to cannabis, but a host of European nations are reconsidering their long-standing stance on the use of cannabis in their jurisdictions. The need to rethink the strategies and legislation around the use of cannabis has been imminent in light of the demand for recreational, medicinal and natural products that can be derived from cannabis strains. Experts have since proven that banning cannabis only did more harm than good, and the wider population is missing out on some amazing benefits of using cannabis. Companies affiliated to cannabis that are listed on the stock markets have since seen their stock prices soar. The question, however, is whether this growth is sustainable. It’s obvious that a lot of people will want to dive into cannabis stocks, in light of this increased demand. Forecasts even project unprecedented growth. Some of the markets where we can expect growth in the demand for cannabis in the near future include sleep control, pain management, healthcare, and beauty. A lot of the major players in the beverage, tobacco and pharmaceutical industries have already tapped into the market, trying to find a way to claim their share of it. Even with the soaring stock prices, it’s important to realize that what’s going on in the cannabis market could be no more than a bubble, which will burst. Most of the powers behind the soaring prices in the cannabis stocks are all about speculation. There are very little tangible demand and supply forces behind the soaring stock prices. Where economic factors barely come into play, it’s easy for things to go belly-up very fast. 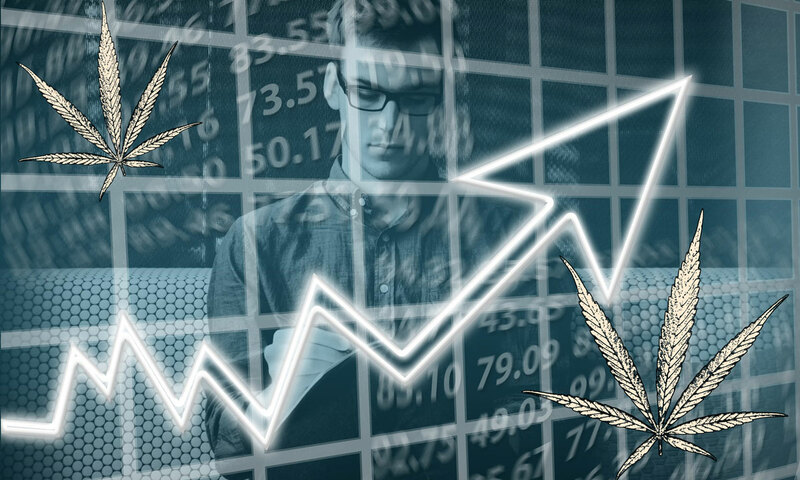 It would take years for the cannabis industry to get to a point where investors can make an informed decision after analyzing market data, trends etc. What investors must learn is that investing in a market like cannabis requires patience and a good judgment. You need to get the timing right, or you will not be very happy with your investment. The cannabis industry is a fairly new and emerging industry. In such an industry there are always risks involved when investing a large amount of money. It’s not easy to figure out or understand the business models behind most of the companies that are investing in cannabis, so you must exercise a lot of caution. Next PostNext Why Seniors Are Starting to Smoke Weed?